Town Hall 9 war base design must be able to prevent a three star, and even a two star to the very popular GoHo and LavaLoonion strategies. These bases must preform in a TH9 and TH10 clan war if you want any hope of winning the war. I already did the top base designs at TH7 and TH8 which you can check out below. 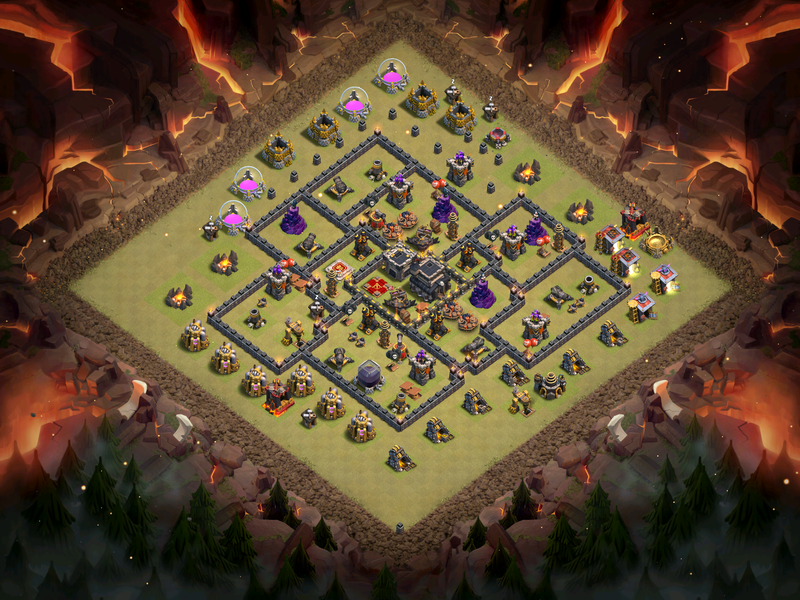 The first Town Hall 9 base layout we have is an anti-lavaloonion layout. Straight up lavaloonion is one of the more popular attacks during war at Town Hall 9 and it is important to have spread out, yet centralized air defenses. X-Bows should obviously be pointed in the air to shoot down lava hounds and balloons. In my opinion, Go-Ho is by far the most effective strategy at Town Hall 9 and it is KEY to be able to defend this strategy. The best ways to do this are spread out defenses, perfectly placed bombs, and a hard to lure clan castle. 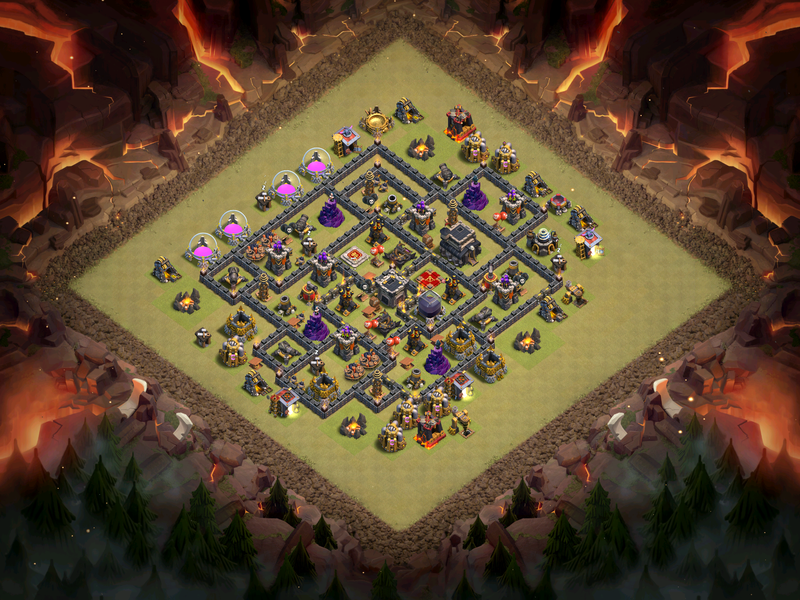 Finally, comes the the Town Hall 9 anti three star base design. Lots of TH10s will be attacking you in war, and you must be able to prevent these big boys from three starring you. Therefore, you offer up your Town Hall in return for a more centralized clan castle and defenses so that you will have a better chance in stopping your opponent from getting three. That is all for Town Hall 9 war base design for 2016! 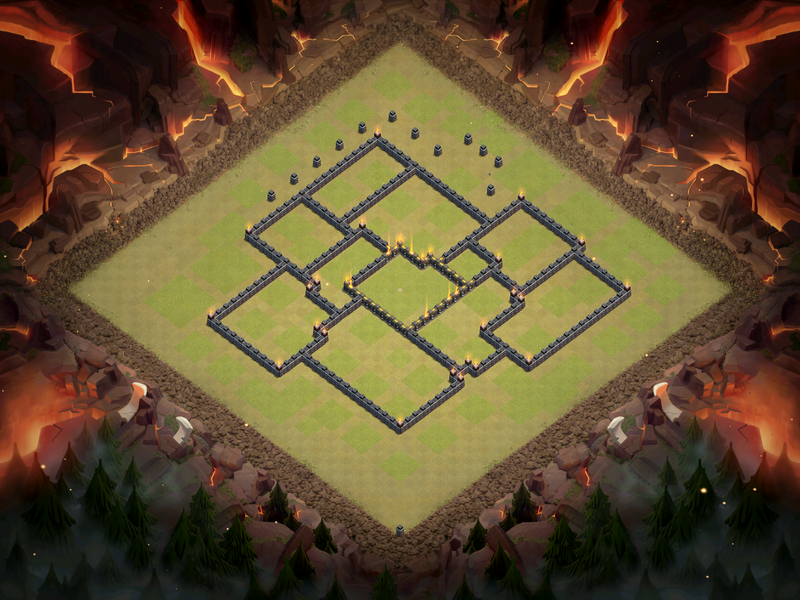 I hope you guys enjoyed these bases and use them for yourselves in order to have some great TH9 defenses. Check back tomorrow for best Town Hall 10 war base design! ← Best TH8 War Base Design for 2016! 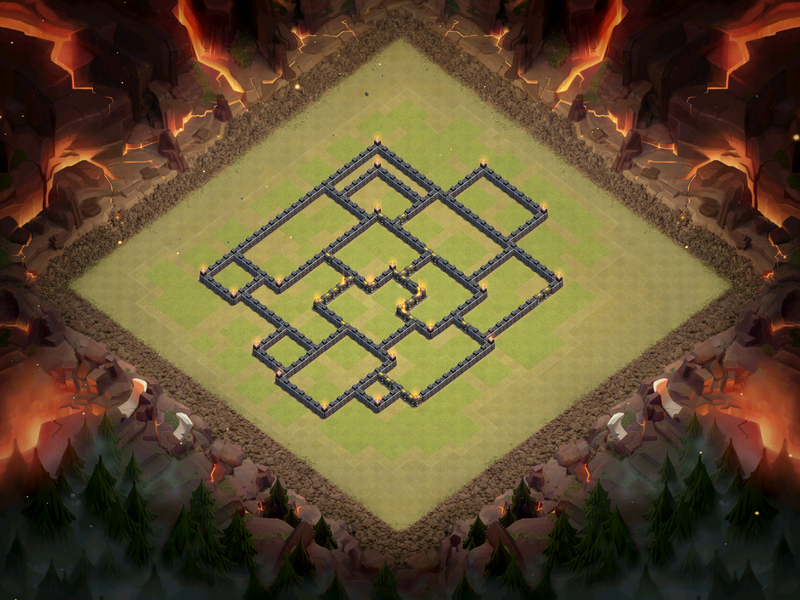 Pingback: Best TH9 War Base Design for 2016! | Clash of Clans Guide, Strategies, Tricks and More! So even though you’ll say no I decided to pitch this idea.